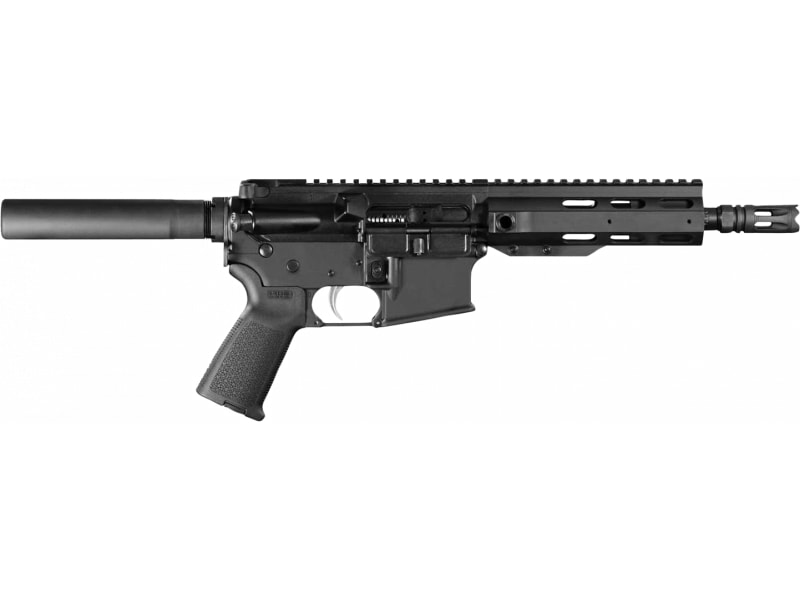 Anderson 77147: Anderson Manufacturing's AM15 Pistol is chambered in .223/5.56 with a 7.5" Chrome Moly Vanadium Steel M4-contour barrel with a 1:7" twist. Other Anderson-made features of this AR pistol include the EXT Free Float, Low-Profile Gas Block, Knight Stalker Flash Hider, and their proprietary 17-4 stainless steel match-grade trigger and hammer. With forged receivers, a Magpul pistol grip, a pistol buffer tube machined to accept Sig Brace, a standard charging handle, an ambidextrous sling mount, this pistol is treated with Anderson's own NO Lube RF85 treatment and comes with a 10-round magazine.